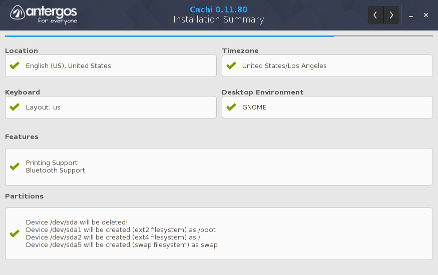 Not much time has passed since we released Cnchi 0.10 yet we’re finishing our Cnchi 0.12 release. New “Summary” screen. Before accepting going on with your installation, Cnchi will show you what will install and which changes is going to do on your system. This screen is always shown, it doesn’t matter if you choose automatic or advanced installation. Better managment of package conflicts. 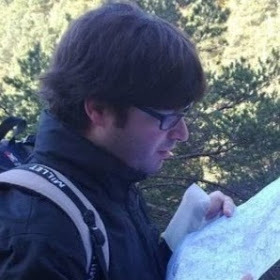 Calculate package list and its metalinks BEFORE partitioning. 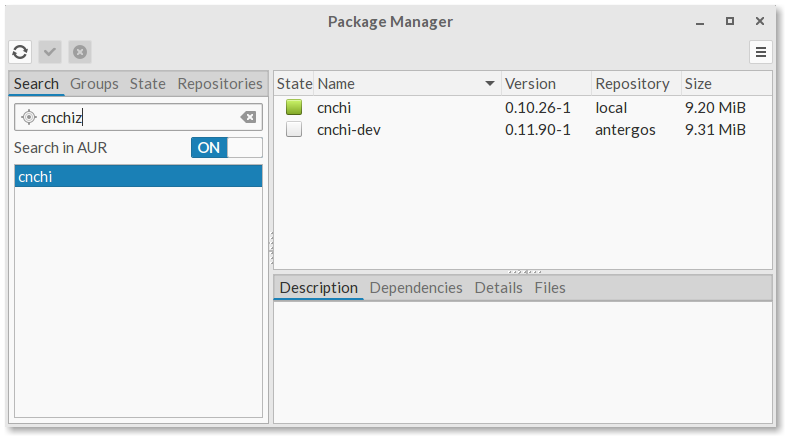 This way, if some package is missing Cnchi will tell you and fail, but it won’t touch your disk. You will be able to fix the issue (fix mirrorlist, change package name in packages.xml, …) and try again without rebooting. This has needed a lot of work as Cnchi was not designed to do this when we coded it. I’ll try to keep you posted of our progress. Will the new game feature I submitted make an appearence? An editable list would be cool for adding your own pacman packages. Yes, I forgot about the game feature, sorry. XD , can’t wait for 0.12.
what about plasma 5 as DE option? We have next version ready for testing. As somebody suggested before, we’ve released a cnchi-dev version for you guys to test before making a new release. Oh, I highly recommend to run it inside a VM, just in case. Hmm. Yes, cnchi-dev is at 0.11.90-1 right now. it downloads and runs the stable 0.10.26-1 version here. What am I doing wrong? Tried it with antergos-2015.09.03-x86_64.iso from Testing, installing Kde 4. Worked like a charm. Details are here. I love the way Antergos handles Features like “Firefox”, “Samba” etc! And now a Gaming feature! Exactly what I’m looking for my HTPC/Gaming machine. Hi. This looks awesome. Out of curiosity, why was the option to install Nvidia / AMD drivers removed? Out of curiosity, why was the option to install Nvidia / AMD drivers removed? You have discovered us. We removed it as it was not fully working in all cases. We want to improve it and make it work as it should. I’m using the Cnchi 0.12.1 installer (2015.08.18 ISO) on a system with an nVidia Geforce GTX 750 video card (using the English defaults). Quite a bit of the text on the splash screen appears as unreadable white pixels; usually in the middle of words, so it’s still usable, but barely. Moving the mouse around sometimes changes the text. Pretty sure this is a driver problem, but thought I would mention it. Just to confirm it’s the Nouveau driver. After booting in to Antergos, Mate edition the menu text etc has similar missing text. The nouveau driver is basically unusable with this video card. +1 me on the list asking to have the proprietary driver install put back in to Cnchi.